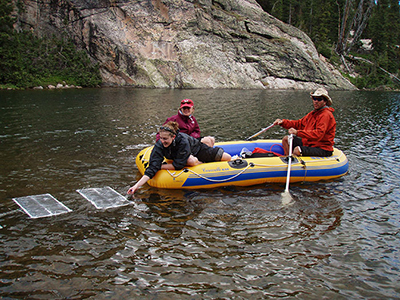 Students collect data from a mountain lake. In addition, students take core ecology courses and seminars and attend short workshops designed to improve teaching and professional skills. Students have access to excellent research equipment and facilities, both in the lab and in the field.